Nothing makes a home feel like the holidays have arrived than the smell of freshly baked cookies. Every year I love trying new cookie recipes and sharing them with family and friends. So I started looking online for cookie ideas. And the more I searched, the more I found! What’s a gal to do with all of these scrumptious cookie ideas? 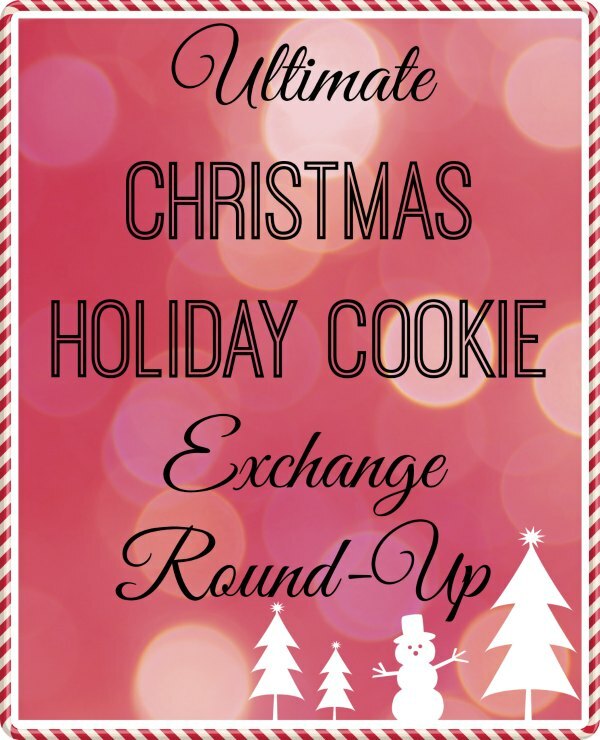 Create a cookie exchange extravaganza!!! All week I’m posting new cookie round-ups for you. And be sure to add your own cookie recipes down below! « Which Games Console Is Best For Online Gaming? I am participating in a cookie exchange this year for the first time. I am not much of a baker and I am a little nervous about my cookies not being up to snuff. Hopefully your recipes will be easy and delicious! I am a huge peppermint fan, so I cannot wait to see some great cookie recipes! Thanks for hosting! I absolutely LOVE cookie exchanges! I love cookie exchanges and haven’t participated in one in years! My wife does this once a year with the girls… they cookies are um, well, gone very fast! I love, love, baking, and this year I finally joined a cookie exchange. I just mailed off my cookies for The Great Food Blogger Cookie Exchange. It was a lot of fun, and I can’t wait to do it again! Great round up! I have always wanted to have a cookie exchange party! Thanks for the invite! I can’t wait to try all these recipes. What gets you more in the mood for the holidays than a cookie exchange? How fun! Thanks for inviting me to the cookie exchange! Thanks a lot for inviting me – I’m participating this year for the first time and am already excited to get some new ideas for the kids. Much fun to everyone and cheers from Vienna! Thanks for the special invite to link up to the cookie exchange. I just added my yummy recipe. All these cookies look so good. Thanks for hosting such a great link party. I love love love cookies! Thank you so much for inviting me to this amazing cookie exchange! I would love to have you and your bloggy friends come link these up with me as well on the 13th for my Bloggy Christmas Cookie Exchange! Share the love!!! I’m always on the lookout for new cookie recipes so I’ll have to check back often. i dont think I have ever seen anything like this cookie exchange before. Its GREAT! I’ve been really wanting to make some christmas goodies for the family this year, so I REALLY truly appreciate this. thank you so much! Hi Jennifer! Thank you for the invite to link up with you all. Great holiday cookie exchange! Thanks for hosting and for inviting me! Lots of great recipes! Cool idea! I have to “steal” these recipes! Yummy! Okay, this post is making me drool! I want to go grab a gallon of milk, and start eating! Oh my goodness, all these cookies are making me hungry! I would love to try making them! Great ideas, great pics. Thanks for sharing! I need to get pinning! Thanks for linking up via the Mommy Monday Blog Hop! What a great batch of cookies! Thanks for linking up with Creative K Kids’ Tasty Tuesdays. I’ve pinned it to the Creative K Kid’s Tasty Tuesdays Pinterest Board. Thank you for the invite! I think I posted my link in the correct area. Could you tell me otherwise? I see so many yummy recipes! I love this link-up!!!!! There is nothing better than Christmas cookies 🙂 Thank you for joining our 12 days of Christmas Link-up too! I highlighted your exchange on my blog today. Oh my goodness these look amazing – thanks for the round-up!